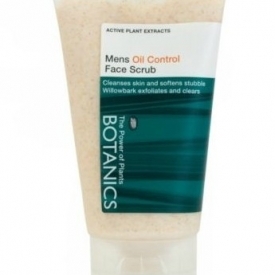 Botanics Men's Oil Control Face Scrub is an energising scrub which thoroughly cleanses skin while softening stubble and leaving skin feeling smoother. 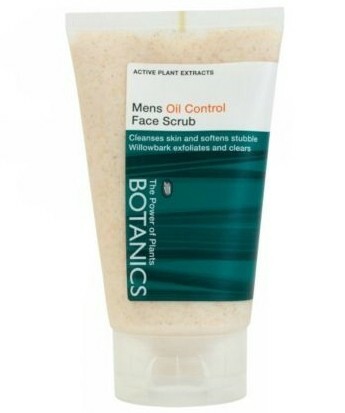 The St Ives Blemish Fighting Facial Scrub is slightly cheaper and better but this one is a good alternative if you can pick it up in a Boots deal. Using a scrub before shaving is a very good idea as it helps with the bristles and helps to prevet spots and blemishes. If you electric shave just wait for a bit to let the skin dry before shaving. This scrub is mild and easy to use. The oil control aspect seems a little over stated but overall it's a good scrub.